For as long as I have been into home control and automation, I have wanted to control every aspect of my home. While there are certainly professional solutions to automating your window shades, none of them have ever approached affordability. After stumbling upon a company selling tubular motors for reasonable prices, I decided to wire up something that might just do the trick. Tubular motors from RollerTrol.com are affordable (at least in the world of tubular motors for shades), relatively quiet and easy to work with. The motors require 2A 12V DC power and can be reversed just by changing polarity. They even have an included rotation counter so that the up and down limit on your shade is managed by the motor itself. My home is controlled with INSTEON so, naturally, I have come to an INSTEON automation solution. INSTEON recently released a new module, the Micro Open/Close controller which is essentially a dual-relay module. One relay responds to an UP command, the other to the DOWN command. The only cumbersome thing is that the relays operate at 120V AC, not the 12V DC we need for the motors. INSTEON does offer a dry-contact relay module, the I/O Linc, but you would need two I/O Lincs to control a single shade (one to control up, the other to control down). Any 12V DC, 2A power supply will do. My solution will require two supplies for each shade. More advanced hobbyists can probably wire up a polarity reversing switch that only needs one supply. I happen to have a bunch of 12V adapters around, so we're going to just use what is on hand. Because we will be wiring both supplies to the motor at the same time, we need a way to break the circuit. Any 12V SPDT relay should be more than adequate. I used automotive relays as they were easy to wire but certainly overkill. Mounting the motor is rather straightforward. The RollerTrol motors ship with mounting brackets that screw to your window frame and mount via a small metal flange. As for tubing, if your window distances are shorter (4' or less), SCH40 PVC pipe works rather well. I would probably take a motor mount to your home center and test the fit though. I found enough inconsistency that I had to try several different pipes each time. If your distances are longer, RollerTrol suggests metal electrical conduit. Make sure your mounting is level or your shades won't hang properly. Route the two motor wires through the mourning bracket and out of the way of any rotations. The last thing you want is for your shade to somehow catch the wires and rip them out of the motor. If you are placing multiple motors near each other in a bank of windows, you might consider using ethernet to gang together different motors. With one ethernet cable, you can pass power to four motors. Ethernet is cheap, easy to run and should be more than adequate for powering your motors. Keep length in mind though and always test before you commit anything to drywall. Follow the included wiring diagram and you should be fine. You should always use caution around 120V and since this project uses both 120V and 12V, now is no exception. In a nutshell, connect one 12V supply to each of the two relay terminals on the micro module. Wire the relays so that they will be powered by the 12V supply and the normally open contact will close to send power to the motor. It may seem wacky, but without the relays in the mix, power doesn't flow properly to the motor. The hard part is over. If everything works, pressing down on the Micro Module will lower the shade and pressing up will raise the shade. I suggest you become good friends with a seamstress and leave the sewing of your shade panels to them. Controlling the shades is the best part. You can keep it simple and pair your Micro Module to any other INSTEON controller or you can go off the deep end and build a custom interface for just your solution. My home is powered by Perceptive Automation's Indigo using their webpage-based control pages to build a custom user interface for my shade setup. Please forgive my limited understanding of electrical diagrams, but can someone confirm MarioR3's diagram for a one power supply version would work? Also, baughhumbug, are those circuit boards you attached to the wood plate just the guts of 12v power supplies or something else? Great idea, I really appreciate these instructions. I wired up my setup following your diagram and when the micro open/close switch is triggered the Rollertrol does not move. Can you confirm your wiring plan. Any changes to the micro controller settings? I've checked my wiring against your diagram and it matches up. Normally close (87a) white; Normally open (87) blue; Contact Armature (30) black; Coil ground (86) yellow; Coil positive (85) red ((not used in your configuration)). Really appreciate your effort putting this together. thanks! • The Rollertroll motors have an internal rotation counter and if you are at the end of the rotation, reversing power should get the motor to at least show some signs of life. • If you still cant get any life out of the motor, try pressing and holding the set button hidden in the non-rotating side of the motor friction ring. If after a few seconds, the motor sounds three beeps, it will go into a programming mode where you can set the limits of the rotation. You'll want to do this to set the limits once your shades are up, but in the meantime it at least lets you know power is working. • Try connecting your 12V PSU to the relays two power leads such that you can hear it click. For my relays, this was blue and yellow (I'm afraid I don't have the relays present to check the numbered markings). So before I read this comment I wired up my set up based on the wire colors in the diagram and it did not work. In examining the pictures it looks like the coloring is completely different from my relays to yours. Could you label your colors for me? Like on my relays: Black = 30, Red = 85, White = 87a, Yellow = 86, Blue = 87. Mike, this is how I got my insteon/rollertrol wiring to work (based off of Humbug's work). I'm not an electrical pro and hope my house doesn't' burn down.... I have three of these setup as of this weekend. Thanks so much! I did a quick mock up and your circuit worked perfectly!!! However that said, I do now question the purpose of these relays. The way they are wired whatever voltage is supplied across 85 & 86 will go through 87 & 30. Since the two relay circuits are working independently (only sharing a ground) if you were to somehow supply voltage across the 85 & 86 pins of both relays they would both be turned on with no way to get to ground. I am thinking maybe something like the image attached. Have one voltage source switching off the path for the other. This way if both were to be turned on at the same time then both circuits would break. Any thoughts? Awesome Instructable baughhumbug! 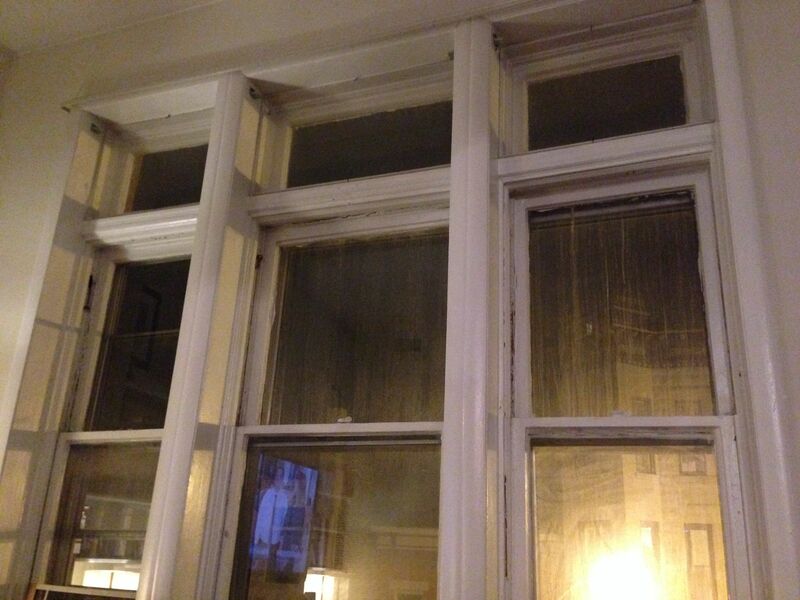 So I am thinking to save money I am going to have all 3 windows be controlled as one. Using only 1 Insteon controller and wiring the motors in parallel. If my memory serves me correctly from Circuits 101, I can use your diagram, wire the motors in parallel and use power supplies with an output of 12v 6A and I should be good. Any thoughts? Thank you. And, technically, yes, you should be fine. The Rollertroll website even suggests a similar setup when you want multiple motors to be controlled from a single device. The only thing that I've noticed with the motors when you have multiple windows side by side - the motors don't always seem to run at the exact same speed. It could be differences in weight but I have two shades side-by-side that are identical and the left one always rolls up about 4 seconds faster. Happy automating! I think I just spotted a potential issue with my plan... the listed Max load of the Isteon controller is 2.5A motor or 8A resistive. With three motors running simultaneously I would be drawing 6A to motors. These are the windows I am trying to shade: http://i.imgur.com/Vjpnopv.jpg I am now thinking of just getting 1 12lb motor and using a single tube with 3 shades on it. Do you think a single 12lb motor could handle that? All of the load ratings on INSTEON's spec table are assuming 120V as the Micro Module switches line voltage with the two built-in relays. The good news about that is your 6A/12V motor power supplies would only consume 72 watts, well within the switching capability of the micro module (300W motor load). Given the size of your window (which actually looks a lot like my setup for the window pictured above), I wouldn't worry about using a 6lb motor to lift all three shades simultaneously unless your shade fabric is very heavy. That would guarantee you that all three shades raise simultaneously. It doesn't look as perfect as three shades that fit *within* the window frame as opposed to three shades, sharing the same curtain rod laying *on top* of the window frame, but it works pretty well. Thanks for the info on the power ratings, very helpful indeed! The goal is black out shades because my TV is mounted across from these windows which makes day time viewing not ideal. To achieve black out I am going to build side channels like the ones in this example: here. Once I get all this done then I can go back and build a window box to fit around the motor tube to hide the mechanism. I went ahead and ordered 2 motors (one for these three windows and 1 for a 4th separate window in the room), 2 Insteon Micro Modules, 4 power supplies, and a pack of relays. I'll keep you posted once I get the parts and start the build. Thanks again for taking the time to post this instructable and helping me flush out my design! Thanks for the tips, I think i'm back on track. I'll get photo/diagram of how my wiring ended up. Part of my problem was that I think my rollertrol was stuck in programming mode. Regarding programming mode.....are you using the calibration limits in the Insteon micro-controller and the programming limits in the Rollertrol? My shades don't' seem to keep the same start/stop position. They seem to progressively lower further and further each time the shade is open/closed. Are you using the Insteon micro-controller in its default "Latching" mode? or the single/dual momentary mode? Final question. Have you figured out a "stop" option to stop the shade half way or is it just fully open/closed? I use the built-in motor calibration rather than the micro module duration to set the window shade height. The problem you are having where the shades end up at different heights each time is something that I dealt with before I found the rollertrol motors... Frankly, it was one of the most frustrating parts. If you set the limits to be correct for the motor using the motor's limit set button, as long as the micro module stays on long enough for the motor to run through the entire up or down motion, your shades will always stop at the same height. I have my micro modules set to stay on for about 5 seconds longer than it takes the shades to roll up (it seems to take a bit longer to roll up than unroll, so I suggest you use this for the timing). When the shade reaches the rolled up/unrolled position, power is still flowing but the motor stops itself (thanks to the built-in rotation counter). The micro module follows a few seconds later and cuts power. As far as the switch mode, it shouldn't matter if you use Latching, Single-Momentary or Dual-Momentary. While it sounds like those affect the relays of the micro module, they are actually for control OF the micro module using a hard-wired wall switch. If you had a projection screen, for example, with a wall switch push-button for up and push button for down, you would need to have that wired to the two sense wires on the micro module. The type of wall switch you have would dictate which mode to use, latching or one of the two momentaries. Interestingly enough, I stumbled upon a "halfway" option accidentally. While I use Indigo to control everything, I was playing around with the INSTEON Hub. Adding the Micro Module to the Hub brought up a dimmer control. I thought this was an error but it turns out that the micro module responds to INSTEON Dim and Brighten commands. The micro module will map 100% bright to the maximum duration your shades are set to travel and then figure whatever % you send it in seconds. For example, if it takes your shades 10 seconds to roll up and you send the module a 50% command, it will run the relay for 5 seconds and then cut power. While Indigo doesnt directly support this feature, you can certainly link the micro module to a Mini Remote and use press and hold to "brighten" or "dim" your shades. You *can* theoretically use Indigo to send a custom command to the micro module, but you're going to need to know the hex commands to send to the module to accomplish that (and I'll have to get back to you as to what they are for direct dim/brighten commands). Thanks for writing your instructable! I am looking at automating my shades as well, and seeing how you have done the automation is a great help.